Maryland, Ohio, Missouri, Arizona get new CIOs. With a new federal administration and prevailing concern about budget cuts and unemployment, citizens and public officials are wondering what the future holds for government. IDC's Government Insights, a research and consulting firm, hosted a Web conference Worldwide Government 2009 Top 10 Predictions, on Jan. 9 to address this growing problem. With a $3 billion increase in the federal IT budget and a 3.4 percent growth rate, government is the largest IT buyer. The conference addressed key issues that will impact government's use of IT in 2009. Among them: The faltering economy will force government to adopt the business role of overseer of financial institutions; this will require public officials to learn new business and IT skills. In addition, economic issues and new leadership have created new expectations of government: Citizens believe that government should help rebuild the economy and become more transparent. Government will also focus on economic recovery, creating various programs and altering priorities to improve finances. Finally, because of the tight fiscal environment, investment optimization is critical to saving money while improving capabilities. Government will struggle with its new business role. Cyber-attacks will threaten financial systems. The government talent pool "leak" will slow, but replacements will be hard to find. Fraud detection will be necessary to protect health-care and finance programs. Federal spending will flow, but not grow as in recent years. Obama's communication style will accelerate a high-tech communication boom. Gov 2.0 will be redefined and not optional. Infrastructure programs will move to hosted, pay-as-you-go models to save money. Use of shared services will accelerate due to budget and delivery demands. State budget shortages will change outsourcing relationships. According to Government Insights, 2009 will be a year of technological change, from increased shared services to new infrastructure programs. To make this transition, the seminar panel advised that governments integrate social networking tools, which younger workers expect. Government Insights also encouraged agencies to perform an immediate assessment of their IT infrastructure, and IT and program performance reviews to prevent future troubles. Upon President Barack Obama's inauguration, newly appointed agency heads began adjusting to the new administration. In order to help federal CIOs and other senior leaders during the transition, the Federal CIO Council created a transition guide that explains the council's role and outlines ways to improve government performance and efficiency. 1. Empowering the government through information sharing. Sharing information leads to educated decision-making, encourages innovation and collaboration across government, and informs and engages citizens. 2. Protecting the networks and systems required in the Information Age. Protecting this information requires maintaining the sustainability of the Web, while enabling access to information. The council has established a committee of IT leaders to improve security of the federal networks and information. 3. Tapping the power of a collaborative citizenry. Web 2.0 technologies and service-oriented architecture have let citizens receive and contribute information, and give users the most current and accurate information. 4. Leveraging scale economies and combined expertise to achieve best practices and act as an enterprise. Consolidating common functions reduces costs and encourages interoperability through standardization. Concepts like managed services and performance-based contracting let agencies work efficiently with industry and enable the adoption of best practices. 5. Ensuring the federal government is an employer of choice. To attract Generation Y employees, current employees must gain new skill sets and embrace Web 2.0 technologies. 6. Focusing on environmental responsibility. Increasing cloud computing and virtual computing environments, for example, can optimize workloads, cut costs and increase flexibility and IT responsiveness. George W. Bush wasn't the only person to leave Washington, D.C., on Inauguration Day. Karen Evans, administrator of the Office of Electronic Government and Information Technology at the U.S. Office of Management and Budget, officially ended a 25-year career in government. Evans was a results-oriented IT administrator who had the lofty task of improving how the world's largest government deploys IT. In her role as the fed's unofficial tech czar, Evans enforced enterprise architecture for government IT and set standards that streamlined how workers identify themselves on the government's vast networks. She also insisted that federal CIOs and agencies justify or jettison redundant IT systems. Prior to becoming the OMB's e-government administrator, Evans was CIO of the U.S. Department of Energy and was the director of the Information Resources Management Division for the Office of Justice Programs within the U.S. Justice Department. 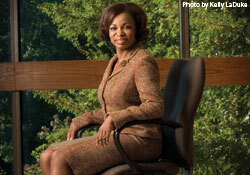 Gail Roper was named CIO of Austin, Texas, on Jan. 7. Previously she was the CIO of Raleigh, N.C., and began her job in Austin on Feb. 17. She was also formerly the CIO of Kansas City, Mo. Arizona's Government Information Technology Agency (GITA) Director and CIO Chris Cummiskey announced he was leaving state service concurrent with the resignation of Gov. Janet Napolitano in January. 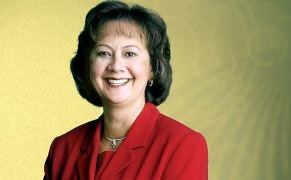 During the six years of Cummiskey's leadership, the state and GITA transformed Arizona government by improving services, enhancing security and privacy, and providing thought leadership to innovative projects. 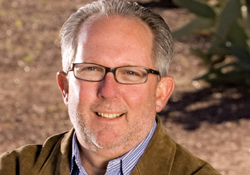 Arizona named Deputy Director William "Max" Ivey as the interim director and CIO. Bill Bryan was appointed CIO of Missouri's Information Technology Services Division. He served as Missouri's assistant attorney general for 18 years. The Missouri deputy for operations is now Steve Siegler. Jim Albert was selected as interim director of Washington state's Department of Information Services. He was serving as deputy director of the Operations Divisions. Sam Orth was appointed CIO of Ohio. 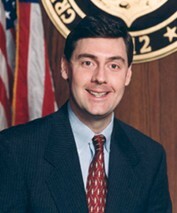 Prior to his interim appointment in October 2008, Orth served as the administrator for the Office of Statewide IT Enterprise Architecture and Policy. 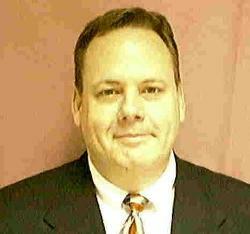 Orth also led the former Ohio SchoolNet Commission as executive director. Delaware CIO Tom Jarrett left his post on Jan. 20, saying only that the state's new governor wants change. In a note to NASCIO members, Jarrett said, "It is with great sadness that I announce that I will be leaving my post as CIO for the state of Delaware on [Jan. 20]. ... These last seven years have been the most rewarding in my career. I have also enjoyed my association with NASCIO and everyone involved with it." Gov. Jack Markell appointed James H. Sills III to replace Jarrett. Before launching the company i9Direct.com, a provider of Web-based employment eligibility verification tools for businesses, Sills spent five years as an executive vice president at MBNA (now Bank of America), where he directed the implementation, global service delivery and communications of technology-related projects.